Contemplative Studies | John M. de Castro, Ph.D.
Psychoses are mental health problems that cause people to perceive or interpret things differently from those around them. This might involve hallucinations; seeing and, in some cases, feeling, smelling or tasting things that aren’t objectively there, or delusions; unshakable beliefs that, when examined rationally, are obviously untrue. 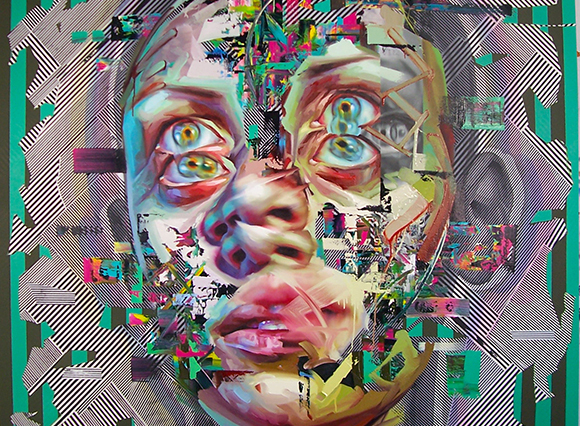 The combination of hallucinations and delusional thinking can often severely disrupt perception, thinking, emotion, and behavior, making it difficult if not impossible to function in society without treatment. Psychoses appear to be highly heritable and involves changes in the brain. The symptoms of psychoses usually do not appear until late adolescence or early adulthood. There are, however, usually early signs of the onset of psychoses which present as cognitive impairments. 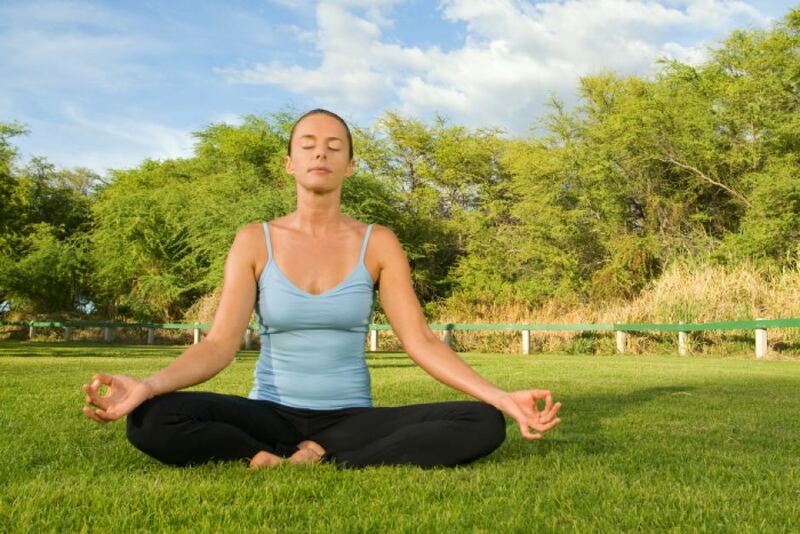 Mindfulness training has been shown to be beneficial for patients with psychosis. Individuals with psychosis almost always have difficulties with social functioning. It is reasonable then to investigate the social mindfulness of patients having their first psychotic episode. In today’s Research News article “). Social Mindfulness and Psychosis: Neural Response to Socially Mindful Behavior in First-Episode Psychosis and Patients at Clinical High-Risk.” (See summary below or view the full text of the study at: https://www.ncbi.nlm.nih.gov/pmc/articles/PMC6381043/ ), Lemmers-Jansen and colleagues recruited patients having their first psychotic episode aged 16 to 22 years, individuals at high clinical risk for developing psychosis, and healthy control participants.. The participants were measured for social mindfulness, intelligence, and positive and negative symptoms of psychosis. In the social mindfulness task, the participants made a choice that would either enhance (socially mindful) or decrease (socially unmindful) choices for another unseen participant. They performed the task initially without instruction and again after being instructed “to keep the other’s best interest in mind.” The participants performed the social mindfulness task while undergoing functional Magnetic Resonance Scans (f-MRI) of their brains. They found that the patients with their first psychotic episode tended to make less socially mindful choices both before and after instruction than either the individuals at high clinical risk for developing psychosis, and healthy control participants. In addition, the patients with psychosis showed less activation of the caudate during mindful choices and less activation of the medial and dorsal prefrontal cortex and the cingulate cortex during unmindful choices that the other groups. The neural findings suggest that the psychotic patients used less higher-level thinking when making socially unmindful choices (prefrontal cortex) and received less reward for making socially mindful choices (caudate). This suggests that the psychotic patients are less mindful because they’re responding with less thought and with less reinforcement for making socially mindful choices. Regardless, it is clear that a laboratory test confirms what is reported in the patients that they respond less well to social situations. Background: Psychosis is characterized by problems in social functioning and trust, the assumed glue to positive social relations. But what helps building trust? A prime candidate could be social mindfulness: the ability and willingness to see and consider another person’s needs and wishes during social decision making. We investigated whether first-episode psychosis patients (FEP) and patients at clinical high-risk (CHR) show reduced social mindfulness, and examined the underlying neural mechanisms. Methods: Twenty FEP, 17 CHR and 46 healthy controls, aged 16–31, performed the social mindfulness task (SoMi) during fMRI scanning, spontaneously and after the instruction “to keep the other’s best interest in mind.” As first of two people, participants had to choose one out of four products, of which three were identical and one was unique, differing in a single aspect (e.g., color). Results: FEP tended to choose the unique item (unmindful choice) more often than controls. After instruction, all groups significantly increased the number of mindful choices compared to the spontaneous condition. FEP showed reduced activation of the caudate and medial prefrontal cortex (mPFC) during mindful, and of the anterior cingulate cortex (ACC), mPFC, and left dorsolateral prefrontal cortex (dlPFC) during unmindful decisions. CHR showed reduced activation of the ACC compared to controls. Discussion: FEP showed a trend toward more unmindful choices. A similar increase of mindful choices after instruction indicated the ability for social mindfulness when prompted. Results suggested reduced sensitivity to the rewarding aspects of social mindfulness in FEP, and reduced consideration for the other player. FEP (and CHR to a lesser extent) might perceive unmindful choices as less incongruent with the automatic mindful responses than controls. Reduced socially mindful behavior in FEP may hinder the building of trust and cooperative interactions. The celebration of a birthday can be special. It’s a time when the individual is recognized by other humans, particularly family and friends. Expressions of love and caring that may be unspoken the rest of the year come out into the open. It’s an opportunity to revel in this recognition, caring, and connection. It is best to do so mindfully; to be sensitive and aware of each present moment, to look deeply at the feelings of the moment, and to listen carefully to everyone involved, hearing not only what is said but the nonverbal expressions. These are usually positive but sometimes they’re negative, but regardless should simply be experienced mindfully without judgement. It is important to be mindful to experience the joy and happiness of the day. It should be fully experienced looking mindfully at the internal feelings and sensations that constitute this joy. But, it needs to be recognized that this, like everything, is impermanent and will briefly arise and fall away. It should not be clung to and attempted to be held onto. That is a prescription for unsatisfactoriness and unhappiness. It should be simply enjoyed as it is when it is present, appreciating the gift of the moment and having no regrets when it vanishes. That is the truly mindful way, that leads to satisfaction with life as it is. So, enjoy your special day. If you focus on appreciating and savoring, but not clinging to, the happy moments in life your entire life will become happier. Enjoying them fully, mindfully, reinforces and strengthens these feelings making them more likely to reappear in the future. Similarly, letting go of regret that the good feelings have gone away and any negative emotions occurring makes them less likely to reappear. It’s simply watering the seeds of happiness so they’ll grow and flourish and allowing negatives to wither. Birthdays are opportunities to do just that. If we reflect, though, it will become apparent that we are constantly being reborn. In fact, every moment we a reborn anew, different than we were, physically, mentally, and spiritually. In fact, awakening in the morning each day is a daily reminder of rebirth. This rebirth is subtle, though, and hard to detect on a moment to moment basis. That is one reason that the birthday celebration is so important. A year passing produces highly detectable changes in our bodies, our minds, and our life situations, greatly emphasizing this continual rebirth. Looking at it mindfully and carefully we can see the impermanence of everything, including ourselves. Some things have gone away, some new things have entered, and the rest has changed to some degree or another. This can lead to and appreciation, wonder, and celebration of the ongoing, ever changing, experience of life. What a wonderful opportunity to see ourselves and life as it truly is. Birthdays are also wonderful times for mindful deep reflections on what has happened to us over the year and what was responsible for it. If we look deeply, we can readily see how much has happened and how interconnected we are to others. Our experiences were not produced by ourselves alone but were contributed to in very fundamental ways by a vast array of people, people close to us and only remotely connected. The individual may have a significant achievement or event during the year; a graduation, a promotion, a marriage, a birth of a child. A little mindful reflection will show how this occurred as a result of the confluence of efforts by a large number of others, our teachers and support group, our coworkers and family, our spouse and their family, in fact, our entire society and those who have gone before. Mindfulness can reveal that nothing occurs in isolation, but rather is the result of an almost infinite matrix of interconnected people and phenomenon. The Birthday is an excellent opportunity to reflect upon and deeply understand this truth of the interdependence of our existences. 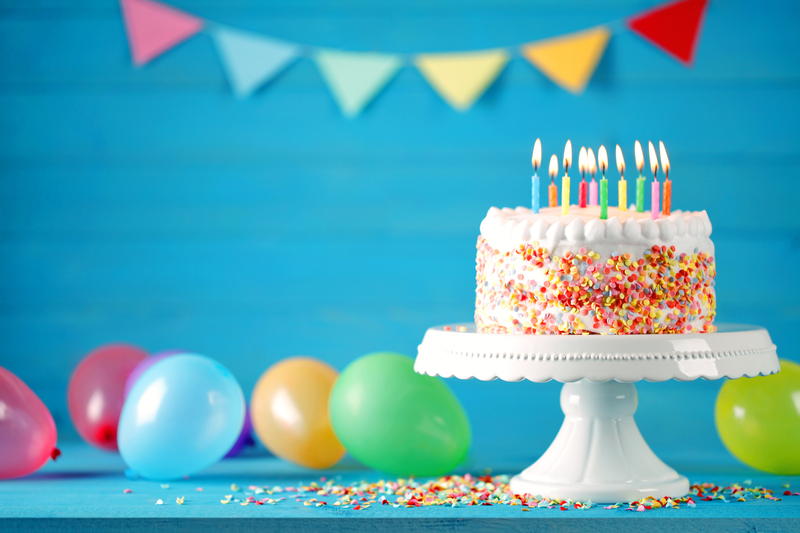 We can equally benefit from celebrating the birthdays of others. Mindfully reveling in, sensing, and appreciating the good feelings we have toward them is another chance to experience the joys in life. Sensing the love in ourselves toward another is best done mindfully, observing the internal feelings and sensations that constitute this love. Enjoying the feelings of love for another makes it more likely that we’ll express love toward others, increasing the love in the world and our own personal happiness. Seeing the changes in them over the years is another lesson in impermanence. We are not the only one constantly changing and being reborn. It’s happening to everyone. Seeing this helps us to understand in an unvarnished experiential way the true nature of existence. Birthdays are an opportunity to grow, understand, and become happier. Take advantage of that opportunity. But, do so mindfully. Have a mindful Happy Birthday. Bone is living tissue that, like all living tissues, is constantly being broken down and replaced. Osteopenia and Osteoporosis occur when the creation of new bone doesn’t keep up with the removal of old bone. This results in a loss of bone mass, causing bones to become weak and brittle. It can become so brittle that a fall or even mild stresses like bending over or coughing can cause a fracture. These fractures most commonly occur in the hip, wrist or spine. Osteoporosis is estimated to affect 200 million women worldwide. In the United States 54 million adults over 50 are affected by osteoporosis and low bone mass. Osteoporosis takes a huge personal and economic toll. The disability due to osteoporosis is greater than that caused by cancers and is comparable or greater than that lost to a variety of chronic diseases, such as arthritis, asthma and high blood pressure related heart disease. The most common treatments for osteoporosis are drugs which slow down the breakdown of bone, combined with exercise. The side effects of the drugs are mild, including upset stomach and heartburn. But there is a major compliance problem as the drugs must be taken over very long periods of time. In fact, only about a third of patients continue to take their medications for at least a year. Even when drugs are taken, exercise is recommended to improve bone growth. Indeed the mindful movement exercise of yoga has been shown to improve osteoporosis. The ancient mindful movement technique Tai Chi is a very safe form of gentle exercise that is beneficial for the prevention and treatment of osteoporosis. With accumulating evidence it is a good idea to step back and summarize what is known about the application of Tai Chi practice for the treatment of osteoporosis. In today’s Research News article “Tai chi for treating osteopenia and primary osteoporosis: a meta-analysis and trial sequential analysis. Clinical interventions in aging.” (See summary below or view the full text of the study at: https://www.ncbi.nlm.nih.gov/pmc/articles/PMC6322510/ ), Zhang and colleagues review, summarize and perform a meta-analysis of the published research literature regarding the application of Tai Chi practice for the treatment of osteopenia and osteoporosis. They discovered 15 published randomized controlled trials. They found that the research studies reported that Tai Chi practice produced a significant increase in bone mineral density and bone gla protein. In addition, Tai Chi practice produced a significant reduction in pain from osteoporosis. These are positive and encouraging results but the authors caution that the quality of the studies was not high and that larger better controlled trials are needed. Tai Chi is gentle and safe mindfulness practice. It is appropriate for all ages including the elderly and for individuals with illnesses that limit their activities or range of motion. It is inexpensive to administer, can be performed in groups or alone, at home or in a facility, and can be quickly learned. In addition, it can be practiced in social groups. This can make it fun, improving the likelihood of long-term engagement in the practice. So, Tai Chi practice would appear to be an excellent gentle mindfulness training and light exercise to improve bone density in patients with osteopenia and osteoporosis. So, improve osteopenia and osteoporosis with Tai Chi. The aim of this meta-analysis was to evaluate the efficacy of Tai chi (TC) as an adjuvant treatment for osteopenia and primary osteoporosis. We went through eight databases to identify relevant randomized controlled trials that compared TC with a control group. The primary outcome was osteoporosis-related fractures (fracture incidence). Meta-analyses and trial sequential analyses (TSA) were conducted using RevMan 5.3 and TSA 0.9. Fifteen randomized controlled trials involving a total of 857 patients were included in the analyses. No trials reported primary outcome; however, bone mineral density (BMD) values differed significantly in subgroup 1 (TC vs no treatment; weighted mean difference [WMD] =0.05 g/cm2, 95% CI 0.03 to 0.07; P<0.00001; P for heterogeneity =0.22, I2=22%) and subgroup 2 (TC vs conventional treatments; WMD =0.16 g/cm2, 95% CI 0.11 to 0.21; P<0.00001; P for heterogeneity =0.008, I2=75%). In addition, two trials compared TC with conventional treatments, which found a significant difference in bone gla protein (standardized mean difference =−1.18, 95% CI −1.66 to −0.70; P<0.00001; P for heterogeneity =0.58, I2=75%). The results of the BMD were confirmed by TSA. Also, TC may have a certain effect on the relief of osteoporotic pain (WMD = −2.61, 95% CI −3.51 to −1.71; WMD = −1.39, 95% CI −2.01 to −0.77). However, it did not promote the quality of life, level of serum calcium, serum phosphorus, and also had no effect on bone turnover markers. Although there is no study monitoring fracture incidence, TC may be beneficial for patients in improving BMD values, level of bone gla protein, and relieving osteoporotic pain. However, due to the low methodological quality, current evidence for treating osteopenia and primary osteoporosis through TC is insufficient. Receiving a diagnosis of cancer has a huge impact on most people. Feelings of depression, anxiety, and fear are very common and are normal responses to this life-changing and potentially life-ending experience. But cancer diagnosis is not necessarily a death sentence. Over half of the people diagnosed with cancer are still alive 10 years later and this number is rapidly increasing. But, surviving cancer carries with it a number of problems. Anxiety, depression, fatigue and insomnia are common symptoms in the aftermath of surviving breast cancer. These symptoms markedly reduce the quality of life of the patients. Mindfulness training has been shown to help with cancer recovery and help to alleviate many of the residual physical and psychological symptoms, including fatigue, stress, sleep disturbance, and anxiety and depression. Yoga practice is a form of mindfulness training that has been shown to be beneficial for cancer patients. But yoga practice is both a mindfulness practice and an exercise. It is unclear whether the benefits of yoga practice for cancer patients is due to its mindfulness or exercise components or both. The research has been accumulating. It is thus important to take a step back and summarize what has been learned. In today’s Research News article “Yoga-Specific Enhancement of Quality of Life Among Women With Breast Cancer: Systematic Review and Exploratory Meta-Analysis of Randomized Controlled Trials.” (See summary below or view the full text of the study at: https://www.ncbi.nlm.nih.gov/pmc/articles/PMC6388460/ ), El-Hashimi and Gorey review, summarize and perform a meta-analysis of the effectiveness of yoga for improving the quality of life in survivors of breast cancer. They found and report on 8 randomized controlled trials that included a comparison to another exercise program. They report that the research demonstrated that exercise practices including yoga produce significant improvements in quality of life for the breast cancer patients that are still present as much as a year later. But yoga practice was not significantly better than other exercise programs in improving the quality of life. It would appear that the fact that yoga practice is an exercise and not its mindfulness aspect is critical for the improvement in the quality of life of breast cancer patients. So, improve quality of life in breast cancer survivors with exercise or yoga. El-Hashimi, D., & Gorey, K. M. (2019). Yoga-Specific Enhancement of Quality of Life Among Women With Breast Cancer: Systematic Review and Exploratory Meta-Analysis of Randomized Controlled Trials. Journal of evidence-based integrative medicine, 24, 2515690X19828325. Mindfulness training has been shown to improve health and well-being. It has also been found to be effective for a large array of medical and psychiatric conditions, either stand-alone or in combination with more traditional therapies. As a result, mindfulness training has been called the third wave of therapies. One problem with understanding mindfulness effects is that there are, a wide variety of methods to measure mindfulness. There two basic forms of mindfulness, trait and state mindfulness. 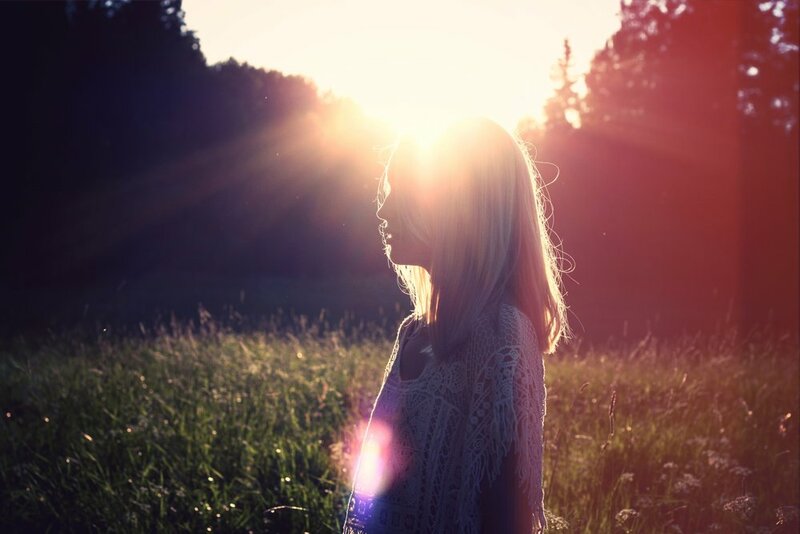 Trait mindfulness is an enduring characteristic that is a long-term proclivity to be mindful. It remains relatively stable over time. On the other hand, state mindfulness is a short-term characteristic that is dependent upon circumstances and can change from moment to moment. The relationship between trait and state mindfulness has not been systematically explored. In today’s Research News article “When Traits Match States: Examining the Associations between Self-Report Trait and State Mindfulness following a State Mindfulness Induction.” (See summary below or view the full text of the study at: https://www.ncbi.nlm.nih.gov/pmc/articles/PMC5800747/ ), Bravo and colleagues recruited college students 31% of which had previous meditation experience. They were randomly assigned to receive a brief (8 minute) recorded guided mindfulness meditation induction focused on body sensations and the breath or a control condition consisting of an 8-minute recorded educational presentation on fruit flies. They were measured before and after the induction for state mindfulness including mindfulness of mind and mindfulness of body, and trait mindfulness including observing, describing, acting with awareness, non-judging, non-reactivity. These are interesting but not surprising findings that the enduring tendency to be mindful is not necessarily related to the moment by moment state of mindfulness. This also tells us that these are independent characteristics that can be accurately measured with existing scales of mindfulness. This suggests that measures of both should be included in research studies of mindfulness as they reflect different components of mindfulness. So, trait mindfulness is only loosely associated with state mindfulness. Bravo, A. J., Pearson, M. R., Wilson, A. D., & Witkiewitz, K. (2017). When Traits Match States: Examining the Associations between Self-Report Trait and State Mindfulness following a State Mindfulness Induction. Mindfulness, 9(1), 199-211. Previous research has found inconsistent relationships between trait mindfulness and state mindfulness. To extend previous research, we sought to examine the unique associations between self-report trait mindfulness and state mindfulness by levels of meditation experience (meditation-naïve vs. meditation-experienced) and by mindfulness induction (experimentally induced mindful state vs. control group). We recruited 299 college students (93 with previous mindfulness meditation experience) to participate in an experiment that involved the assessment of five facets of trait mindfulness (among other constructs), followed by a mindfulness induction (vs. control), followed by the assessment of state mindfulness of body and mind. Correlational analyses revealed limited associations between trait mindfulness facets and facets of state mindfulness, and demonstrated that a brief mindfulness exercise focused on bodily sensations and the breath elicited higher state mindfulness of body but not state mindfulness of mind. We found significant interactions such that individuals with previous meditation experience and higher scores on the observing facet of trait mindfulness had the highest levels of state mindfulness of body and mind. Among individuals with meditation experience, the strengths of the associations between observing trait mindfulness and the state mindfulness facets increased with frequency of meditation practice. Some other interactions ran counter to expectations. Overall, the relatively weak associations between trait and state mindfulness demonstrates the need to improve our operationalizations of mindfulness, advance our understanding of how to best cultivate mindfulness, and reappraise the ways in which mindfulness can manifest as a state and as a trait. Athletic performance requires the harmony of mind and body. Excellence is in part physical and in part psychological. Without inheriting an athletic body and without many hours of training the individual will never reach an elite level. But, once there, the difference between winning and losing is psychological. That is why an entire profession of Sports Psychology has developed. “In sport psychology, competitive athletes are taught psychological strategies to better cope with a number of demanding challenges related to psychological functioning.” They use a number of techniques to enhance performance including anxiety or energy management, attention and concentration control (focusing), communication, goal setting, imagery, visualization, mental practice, self-talk, controlling negative emotions, team building, time management/organization. Mindfulness training has been shown to enhance a number of the characteristics that are taught by Sports Psychologists. Mindfulness training improves attention and concentration and emotion regulation and reduces anxiety and worry and rumination, and the physiological and psychological responses to stress. As a result, mindfulness training, including meditation and yoga practices, have been employed by elite athletes and even by entire teams to enhance their performance. It makes sense at this point to step back and take a look at the state of the research. In today’s Research News article “Mindfulness and Athlete Burnout: A Systematic Review and Meta-Analysis.” (See summary below or view the full text of the study at: https://www.ncbi.nlm.nih.gov/pmc/articles/PMC6388258/ ), Li and colleagues review and summarize, and perform a meta-analysis of the published research literature on the effectiveness of mindfulness as an antidote to athletic burnout. They identified 10 studies including 2 controlled trials, 5 cross-sectional surveys, 1 prospective survey, and 2 qualitative studies. They found that the literature in general reports that mindfulness training produces a reduction in burnout symptoms in athletes and that mindful individuals tend to have significantly lower levels of burnout symptoms. Meta-analysis revealed a significant association between mindfulness and lower burnout, particularly with the burnout symptoms of emotional and physical exhaustion. Hence, the research suggests the mindfulness is a potential antidote to athletic burnout. But the reviewed studies were methodologically weak and larger, well controlled, randomized controlled trials, with long-term follow-up are needed. Thus, although the research has produced promising results, conclusions must be tempered pending more research. So, reduce athletic burnout with mindfulness. 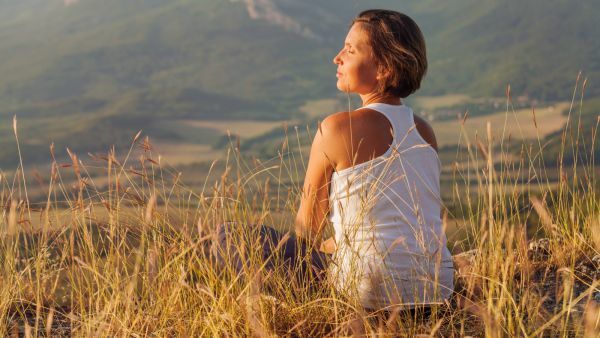 Mindfulness training has been shown to help with cancer recovery and help to alleviate many of the residual physical and psychological symptoms, including fatigue, stress, sleep disturbance, and anxiety and depression. Yoga practice is a form of mindfulness training that has been shown to be beneficial for cancer patients. In today’s Research News article “Randomized trial of Tibetan yoga in patients with breast cancer undergoing chemotherapy.” (See summary below or view the full text of the study at: https://www.ncbi.nlm.nih.gov/pmc/articles/PMC5735004/ ), Chaoul and colleagues examine the ability of yoga practice to improve sleep in breast cancer patients. They recruited patients with Stage 1 to 3 breast cancer scheduled to undergo chemotherapy. They were randomly assigned to usual care or to either receive a Tibetan Yoga Program or a stretching program. Participants met for 4, 75 to 90-minute, sessions during chemotherapy and 3 booster sessions over the next 6 months. The participants were also encouraged to practice at home. The Tibetan Yoga Program consisted of “1) mindfulness and focused attention through guided meditation with breathing and visualization; 2) an alternate nostril breathing practice and a breath retention exercise; 3) Tsa Lung movements; and 4) closing with a brief compassion-based meditation.” The participants were measured before and after the programs and 3, 6, and 12 months later for sleep quality, fatigue, and actigraph measured sleep patterns. They found that all groups improved in sleep quality and fatigue over the 12-month measurement period. But the Tibetan Yoga group had significantly less daily sleep disturbances and fewer minutes awake before sleep onset. Hence, participation in the Tibetan Yoga Program had modest benefits for the quality of sleep for the patients. The Tibetan Yoga Program contains a number of different components including meditation, postures, and breathing exercises. It is impossible to determine in the current study which components or which combinations of components were necessary and sufficient for the benefits. it should be kept in mind that yoga and meditation programs have been shown to improve a number of other impacts of breast cancer diagnosis and survival. So, the total impact of participation in yoga for breast cancer patients may be much greater than implied by the current results. So, improve sleep in breast cancer patients undergoing chemotherapy with yoga. Chaoul, A., Milbury, K., Spelman, A., Basen-Engquist, K., Hall, M. H., Wei, Q., Shih, Y. T., Arun, B., Valero, V., Perkins, G. H., Babiera, G. V., Wangyal, T., Engle, R., Harrison, C. A., Li, Y., … Cohen, L. (2017). 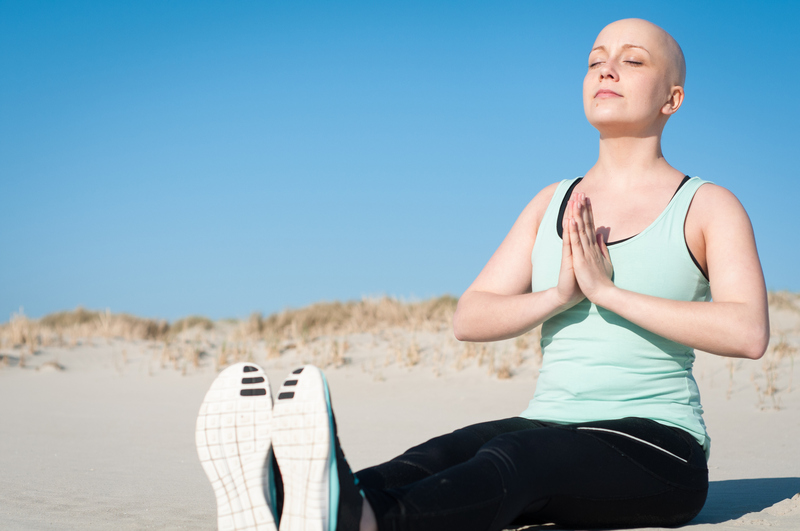 Randomized trial of Tibetan yoga in patients with breast cancer undergoing chemotherapy. Cancer, 124(1), 36-45. This randomized trial examined the effects of a Tibetan yoga program (TYP) versus a stretching program (STP) and usual care (UC) on sleep and fatigue in women with breast cancer undergoing chemotherapy. Women with stage I–III breast cancer undergoing chemotherapy were randomized to TYP (n=74), STP (n=68), or UC (n=85) groups. Participants in the TYP and STP groups participated in 4 sessions during chemotherapy, followed by three booster sessions over the subsequent 6 months, and encouraged to practice at home. Self-report measures of sleep disturbances (Pittsburgh Sleep Quality Index) fatigue (Brief Fatigue Inventory), and actigraphy were collected at baseline, 1-week post-treatment, and 3, 6 and 12 months. There were no group differences in total sleep disturbances or fatigue levels over time. However, patients in TYP reported fewer daily disturbances 1-week post-treatment than STP (difference=−0.43, 95% CI: −0.82, −0.04, P=0.03) and UC (difference=−0.41, 95.5% CI: −0.77, −0.05, P=0.02). Group differences at the other time points were maintained for TYP versus STP. Actigraphy data revealed greater minutes awake after sleep onset for STP 1-week post treatment versus TYP (difference=15.36, 95% CI: 7.25,23.48, P=0.0003) and UC (difference=14.48, 95% CI: 7.09,21.87, P=0.0002). Patients in TYP who practiced at least two times a week during follow-up reported better PSQI and actigraphy outcomes at 3 and 6 months post-treatment than those who did not and better than those in UC. Participating in TYP during chemotherapy resulted in modest short-term benefits in sleep quality, with long-term benefits emerging over time for those who practiced TYP at least two times a week. Yoga practice has been shown to have a myriad of benefits for psychological and physical health. It is both an exercise and a mind-body practice that stresses both mental attention to present moment movements, breath control, and flexibility, range of motion, and balance. It has been shown to improve balance and flexibility in older individuals. It is safe and can be practiced by anyone from children to seniors. Recently, there have been a number of high-profile athletes who have adopted a yoga practice to improve their athletic performance. Both Tai Chi and Yoga are taught in studios by experienced teachers. But this is often not convenient or available. An alternative is online teaching and practice. There is, however, little known regarding the effectiveness of these online programs. In today’s Research News article “Effects of Online Yoga and Tai Chi on Physical Health Outcome Measures of Adult Informal Caregivers.” (See summary below or view the full text of the study at: https://www.ncbi.nlm.nih.gov/pmc/articles/PMC6329221/ ), Martin and Candow recruited informal caregivers and randomly assigned them to receive 12 weeks of 150 minutes per week of either online vinyasa yoga or online Tai Chi practice. The participants were measured before and after training for muscle strength and endurance, handgrip strength, walking speed, balance, and flexibility. They found that both groups improved on all measures from the baseline to the completion of training. There were no significant differences found between yoga and tai chi practices except in the case of chest press endurance and abdominal curl up where yoga practice was superior to Tai Chi practice. Hence, both yoga and Tai Chi practice improved the physical abilities of these informal caregivers with yoga practice being slightly better. Caregivers tend to be fairly inactive. So, the engagement in yoga or Tai Chi exercises may be important for the overall health of the participants and their ability to provide care and not burnout. An important component of this study was that the training was done online. Caregivers are usually stressed and have little free time. So, the ability to practice according to their own schedules and at home is a major advantage. So, improve physical fitness with online yoga and Tai Chi practice. Martin, A. C., & Candow, D. (2019). Effects of Online Yoga and Tai Chi on Physical Health Outcome Measures of Adult Informal Caregivers. International journal of yoga, 12(1), 37-44. This study aimed to investigate the effects of online Vinyasa Yoga (VY) and Taijifit™ (12 weeks) in informal caregivers (≥18 years of age). Twenty-nine participants were randomized to two groups: VY (n = 16, 55.87 ± 12.31 years) or Taijifit™ (n= 13, 55.07 ± 12.65 years). Prior to and following the study, assessments were made for muscle strength (1-RM leg press, chest press, and handgrip), muscle endurance (leg press and chest press; maximal number of repetitions performed to fatigue at 80% and 70% baseline 1-RM, respectively), abdominal endurance (maximum number of consecutive curl-ups to fatigue), tasks of functionality (dynamic balance and walking speed), and flexibility (sit and reach). There was a significant increase over time for muscle strength, muscle endurance, tasks of functionality, and flexibility (P = 0.001). The VY group experienced a greater improvement in chest press endurance (VY: pre 19.25 ± 5.90, post 28.06 ± 7.60 reps; Taijifit™ pre 15.69 ± 4.49, post 21.07 ± 5.85 reps; P = 0.019) and abdominal endurance (VY: pre 37.12 ± 31.26, post 68.43 ± 55.07 reps; Taijifit™ pre 19.23 ± 19.00, post 32.07 ± 20.87 reps; P = 0.034) compared to the Taijifit™ group. VY and Taijifit™ are effective for improving muscle strength and endurance, tasks of functionality, and flexibility in informal caregivers. VY led to greater gains in chest press endurance and abdominal curl-ups.